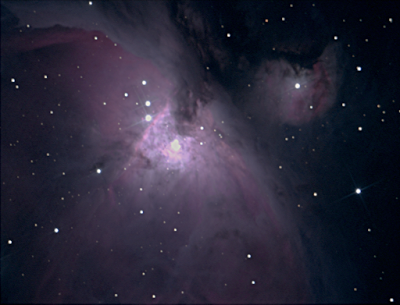 A ZWO ASI120MC camera was placed at the Newtonian focus of an f/5, Skywatcher Explorer 130 P-DS OTA Newtonian mounted on a Celestron AVX, EQ, GOTO mount. 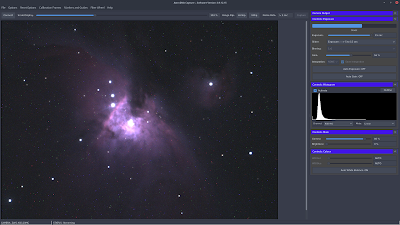 100 x 15s exposures of the Orion nebula were captured with AstroDMx Capture Linux running on a Fedora laptop. 25 matching dark frames were also captured. The images were registered, stacked and dark frame corrected in lxnstack, a native Linux application. The final image was processed in the Gimp 2.9. 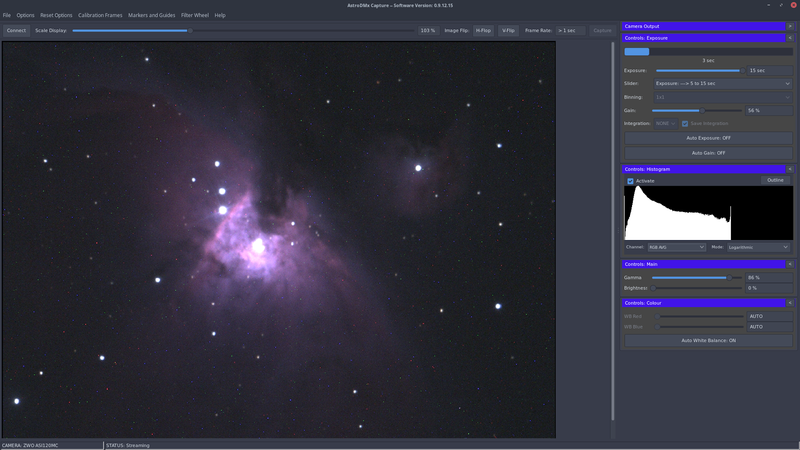 Nicola has now implemented histograms in the software, some of which can be seen in the live preview screenshots below. The histograms can also show computed luminance, R, G and B channels as well as the RGB channels together.